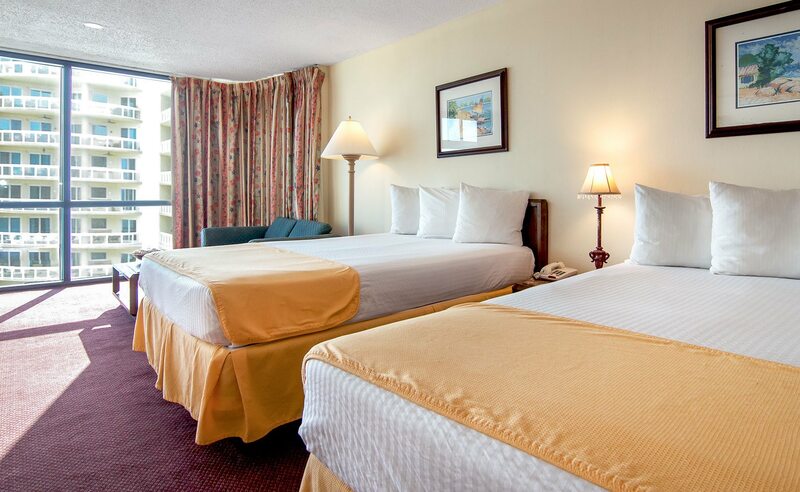 Our rooms are simple, comfortable and casual and meet every need you would find at home with in-room gadgets to make every vacation day an easy and effortless stay. 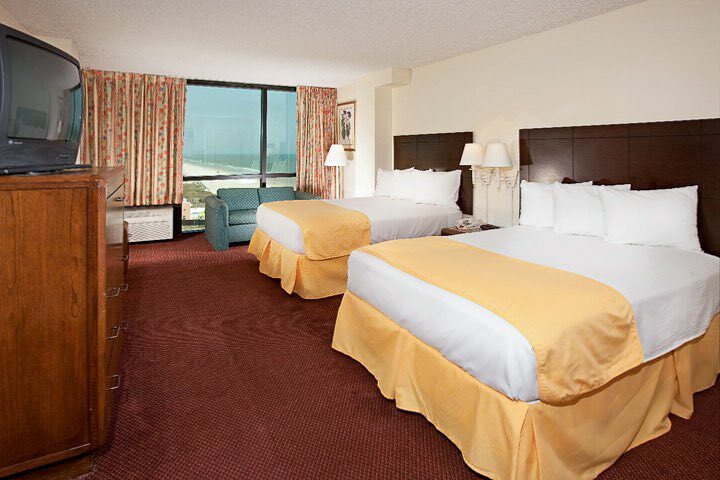 Our Standard Rooms are comfort defined. 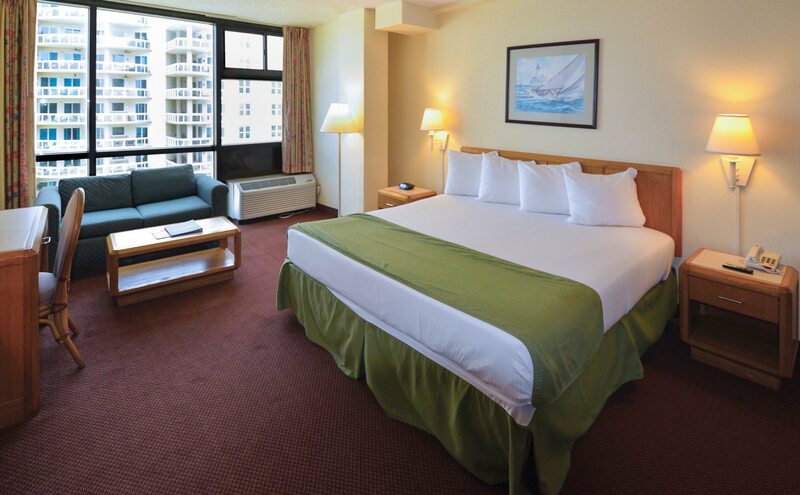 Choose from a king or double beds and take advantage of everything in-room. Awaken each morning to the brilliant blue hues of the Atlantic Ocean in a spacious Ocean View Room, with your choice of one king or two double beds. 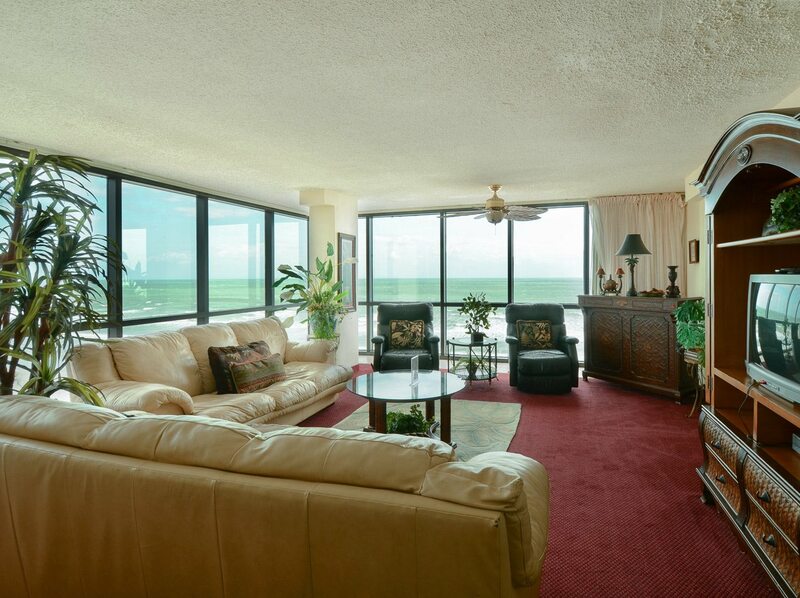 It’s easy to see the sun and the sand from one of our Beachfront Rooms. Available with one king bed or two double beds. 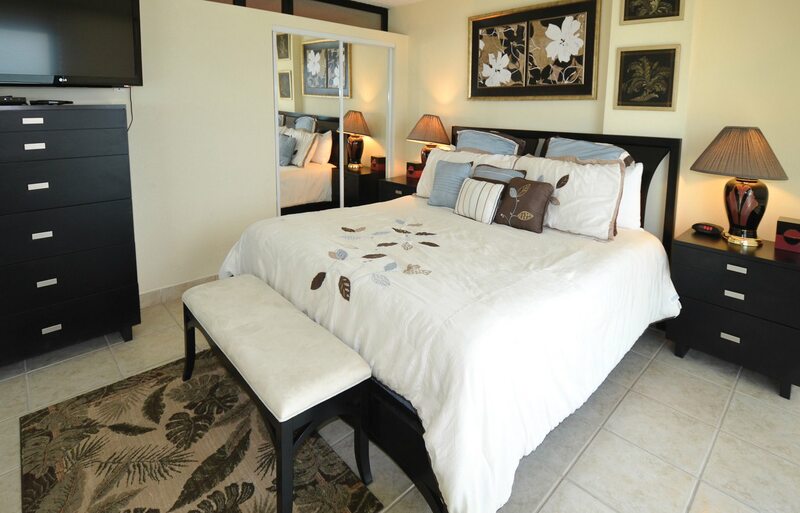 It’s your choice: walk directly to the beach, pool deck or lawn area from our One Bedroom Suites. 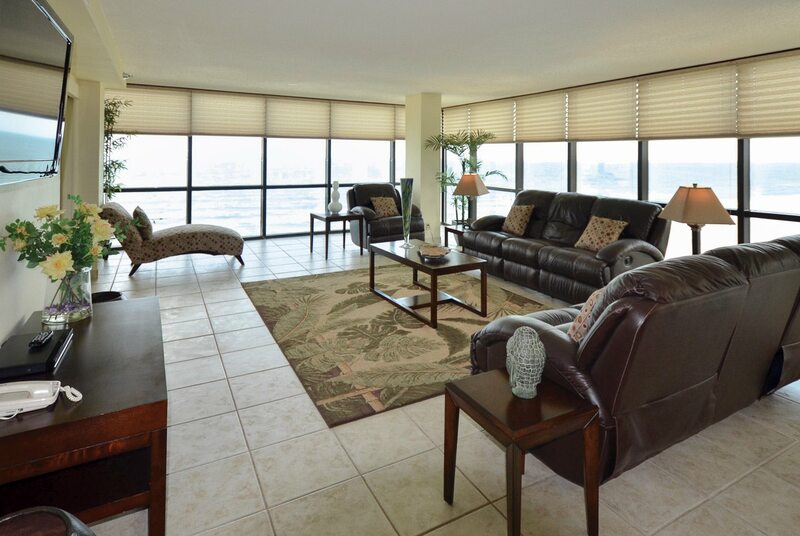 Located on the ground floor of the hotel with a view of the ocean. 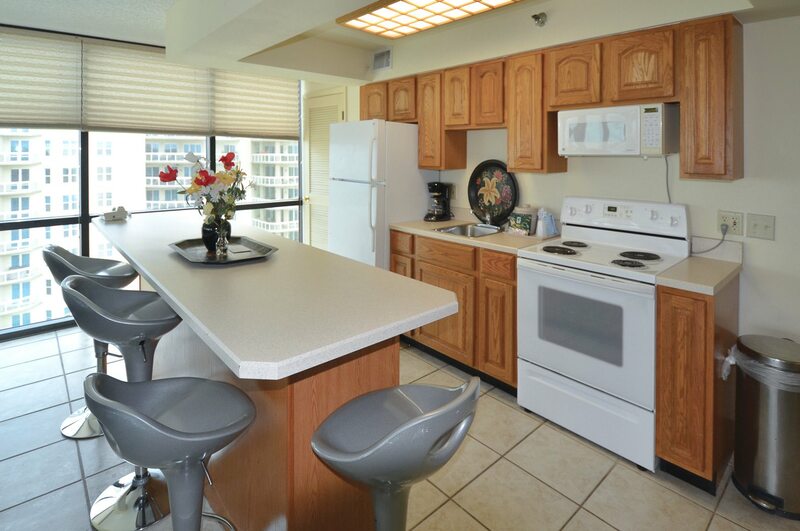 Full size kitchen with range, king in master and two queen beds in guest room. 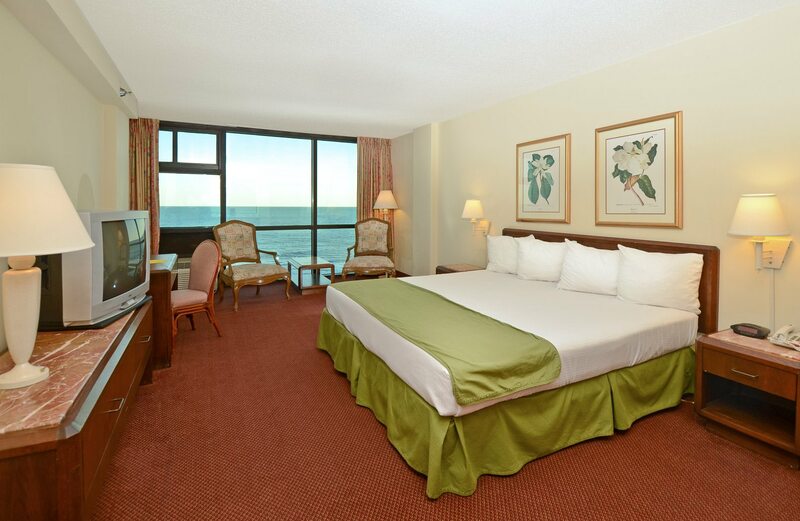 Our standard ADA accessible room offers one king bed with contemporary décor and a view of the Atlantic Ocean. 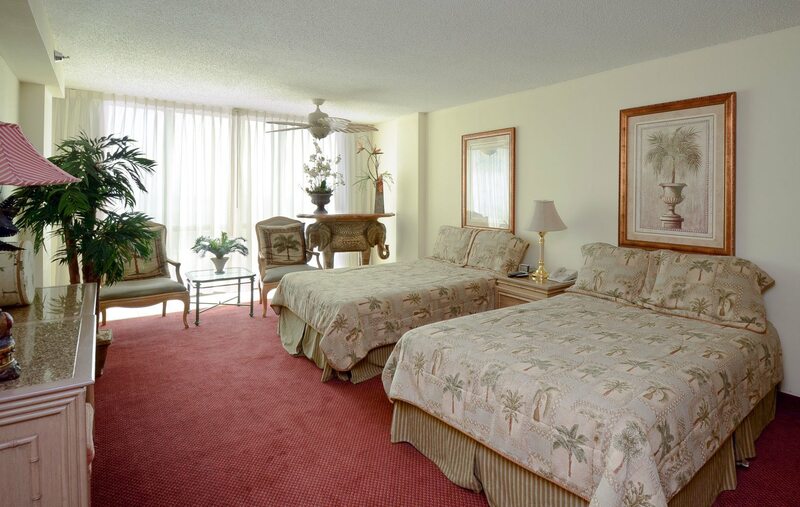 Rooms feature a microwave, compact refrigerator, coffee maker, toaster, iron and ironing board. ADA accessible features may include a roll-in shower, grab bars, height compliant furniture, and hearing impaired telephone system. Please call our reservations team at (855) 499-3637 for further assistance. 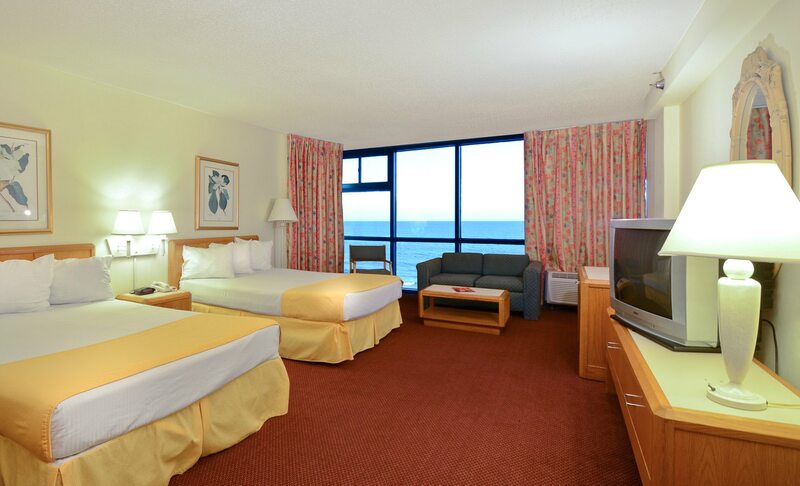 Our standard ADA accessible room comes with two double beds, contemporary décor and a view of the Atlantic Ocean. Rooms are equipped with microwave, compact refrigerator, coffee maker, toaster, iron and ironing board. ADA accessible features may include a roll-in shower, grab bars, height compliant furniture, and hearing impaired telephone system. Please call our reservations team at (855) 499-3637 for further assistance. Need 10 or more rooms per night for your event? 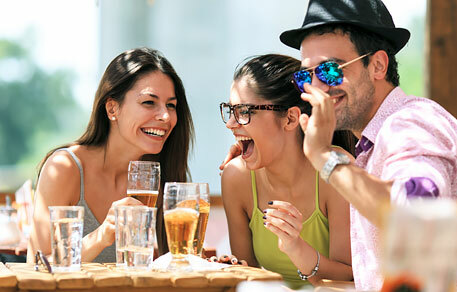 Take advantage of our exclusive group value rates. Our resort fee is also waived for large group stays. Request a proposal. Be sure to include how many rooms you think you’ll need for the occasion.